Miami based women's wear boutique specializing in one of kind designers pieces for modern women. 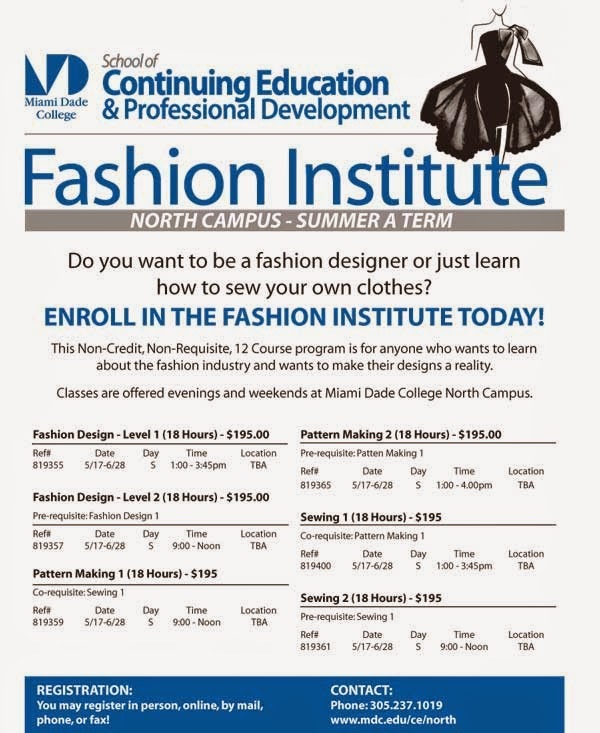 The Fashion Institute at Miami Dade College is happy to introduce Textile 101!! 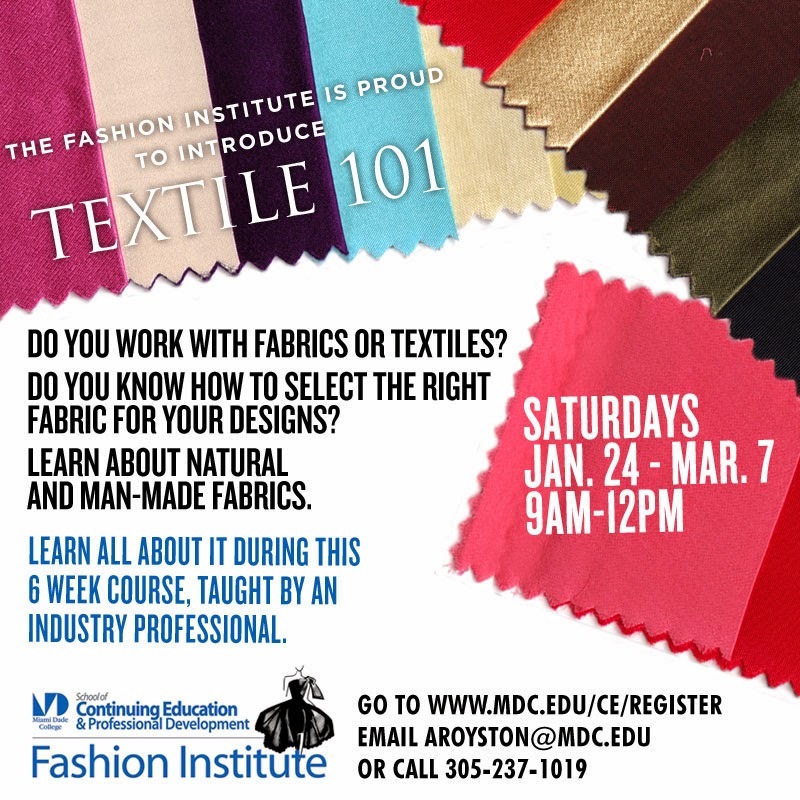 If you work with fabrics and want to learn more about it, register for this 6 weeks course taugh by a professional in the industry!! During the class you will learn about fabrics components, how to differentiate natural fabrics from man made fabrics and much more. Students will make a swatch kit during the classes that can be use as future reference !! Summer A Term is here!! registration is open!!! The designer and entrepreneur Rucht D'Oleo will publish her textbook, El Negocio de la Moda in Dominican Republic next October.The textbook is the first edition of a complete and professional guide how to design, produce and market a ready- to-wear collection and it is aimed at all students of fashion design , fashion designers and any individual interested in the world of fashion. After closing the boutique last year and having everything (Including ticket) ready to move to New York , but it looks like its in God plans for me to stay here. Without looking, a friend recommended me for a job in a well establish company here in Miami which I like a lot and they like me even more since they hired me on the spot. Im doing what I was doing for my company without all the administrative responsibilities that comes with owing a business and without the long hours I had to work at the boutique, which gives me more time to focus in other things I enjoy doing, like teaching. 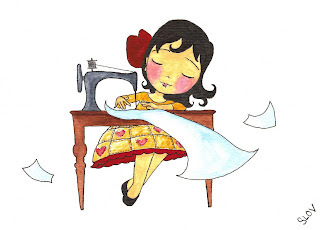 Many of you know how much I love to teach so besides working for Veggies Petit Pois, INC I was also hired by Miami Dade College to teach sewing and pattern classes starting next month. Please see the info below and share it!! Taught by the veteran fashion designer behind RDo Womens Wear Boutique, Rucht D`Oleo has more than 15 years of experience within the fashion industry and was named "Best designer of the year" in 2008 by Funkshion Fashion Week. Basic Sewing Techniques will guide you step by step on how to make your own styles, sewing techniques and how to use the machine. My Little Black Dress in Cancun, Mexico. At a Mexican restaurant in Cancun!!! I recently had the opportunity to travel to Cancun, Mexico. While packing for the trip I came across a little back dress I designed more than 5 years ago! I was so happy to see it and decided to take it with me. While in Mexico, I wore the dress to a show and a dinner and realized then how important is to buy timeless pieces, that we can wear over and over again without looking out dated or out of season. This LBD is flattering, looks good on any body type and it's very slimming. All of the pieces you find here at RDo Women's Wear Boutique are designed with the idea of longevity when comes to clothes. I am very particular about fabrics to make sure that we design using quality materials that will stand the test of time. However, we do follow the season fashion trends but always try to maintain traditional, classic cuts thoughtout all the pieces for our collection, so that not matter how long ago your purchased a dress from RDo Women's Wear Boutique, you can still wearing it many years to come. This special dress is versatile and can be dressed up or down. Add a belt, jacket, bolero, stripy sandals, boots, anything you want or with anything you want. This dress silhouette does really well in our boutique all year round. It super cute, classic and timeless. You can find it at our boutique in solid black and red. The red is great for the holidays including Christmas and Valentines Day. You can also find it in print during Spring and Summer. We even have it in white and makes for an excellent super chic dress for a non-traditional wedding. At a show with the performers. Check out the pockets! COME AND GET YOUR LBD TODAY! At RDo Women's Wear Boutique, we understand the importance of supporting local and domestic brands. That is why we focus on carrying products in the boutique that are MADE IN AMERICA. 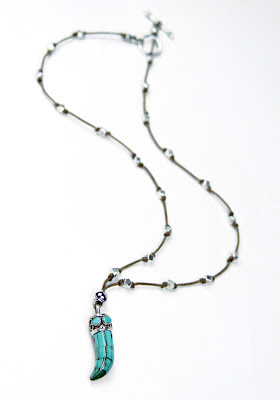 Here at the boutique, you can find beautiful exotic one of kind handmade jewelry designed by jack of all trades, jewelry designer, at home dad and freelance photographer Ric Rami. We had a chance to sit down and speak to the multi-talented and creative Ric Rami to see what inspires and drives him when creating his one of a kind pieces. I was born in Mexico City 32 years ago to Catholic Mexican and Spanish parents. When my mother got a great job offer she couldn't refuse in the states we moved to Chicago during the coldest winter according to the Guinness Book of World Records. Some of my earliest and fondest memories are of us making snow angels and digging my parents' cars out from under 8 feet of snow. Holidays in Miami are hard for me without the snow falling and covering everything in a blanket of white. I am fascinated and inspired by other cultures and religions and I love traveling to faraway places. 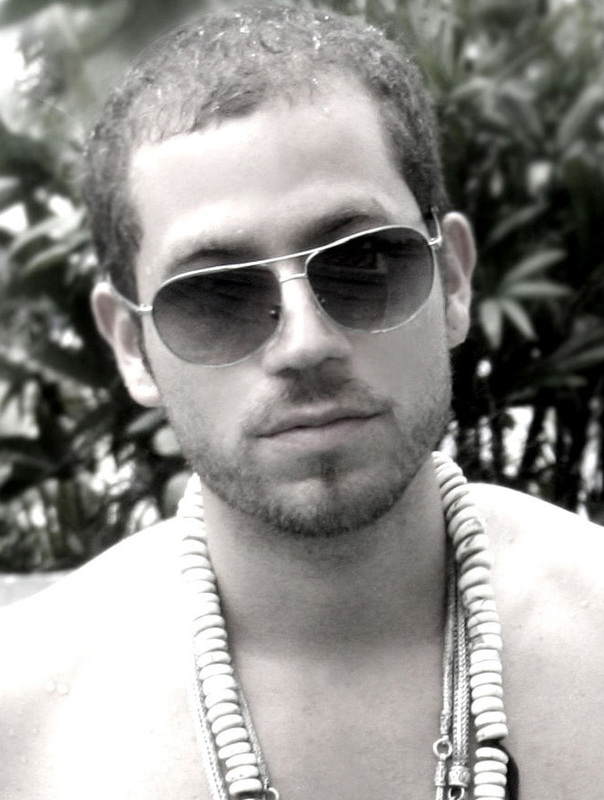 My jewelry collection started during my first trip east into Asia about 5 years ago. I brought back a variety of unique one-of-a-kind, indigenous and artisanal pendants and beads that I planned on making into gifts for family and friends. They were so well received that I decided to turn the rest of what I brought back with me into some of the most unique handcrafted, multicultural pieces of wearable art anyone has ever seen. It's my way of allowing my customer to travel with me as i explore the world and all its riches. 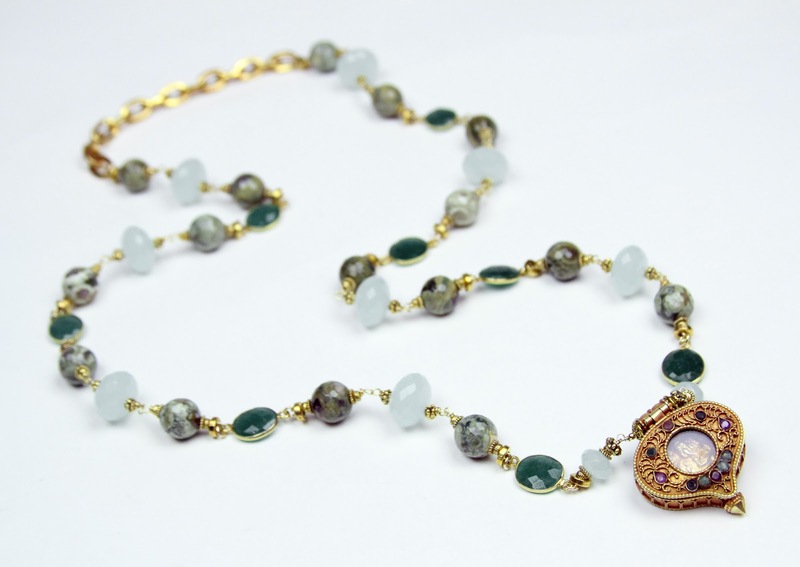 I generally only make one of a kind pieces or limited edition collections and I only use precious and semi precious stones from places like Tibet and India. 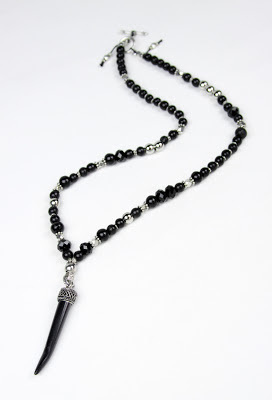 Any diamonds I use I take special attention to make sure they do not come from African mines. I prefer to work in Sterling, Gold, Platinum or Rhodium but in today's economic climate I am open to using plating however I refuse to use anything made in China. Nowadays where everything is mass produced and made to be disposable I truly believe it is within our capacity to buy things made locally albeit using certain components that have traveled hundreds even thousands of miles. What makes your handmade pieces different from what is on the market now? It's evident that different cultures have migrated to America and have built this country and elevated us to where we are today. My goal in each piece I make is to take different elements from various parts of the world and unite them perfectly and harmoniously into a one-of-a-kind piece of wearable art as unique as a person who wears them. Who wouldn't love to own and wear one of kind timeless pieces. It's like owning a piece of jewelry made just for you. These pieces are not just unique but they are all individually gorgeous pieces to own. 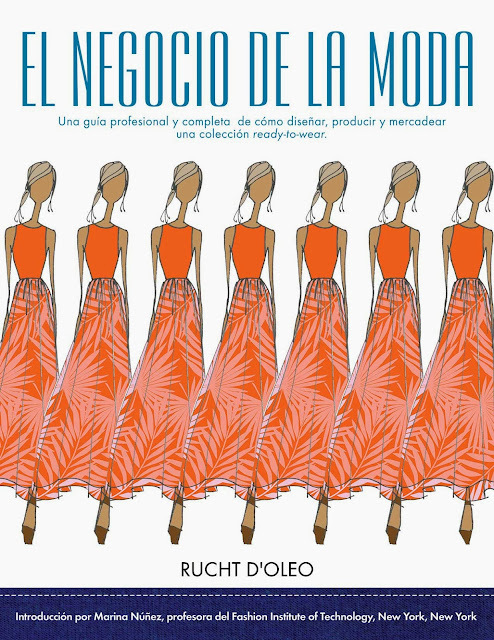 Ric's limited edition collection pieces are only available only at RDo Women's Wear Boutique located in Miami, FL. Come check out what other limited edition pieces we have. RDo Womens Wear Boutique © 2012 and beyond. All Rights Reserved. . Picture Window theme. Theme images by rusm. Powered by Blogger.